A couple month's ago, Gary and I traded in our bulky juicer for the NutriBullet. We wanted something that would be really easy to use in the mornings and easy to clean - this absolutely checks off both boxes! The NutriBullet itself comes with a ton of recipes that we haven't even cracked open yet, but I'm really happy with the ones that we've created! I don't use exact measurements, except for the almond milk - that I fill to the max line, other than that I eyeball everything. Here are a few recipes that we absolutely love. Do you like making smoothies? What are your favorite things to throw into the blender? These all sound so yummy! It's funny you say you switched to the NutriBullet. I love smoothies but hate getting our bulky blender out. Most of the time, I will skip the smoothie because of that blender! Maybe we need to switch to the NutriBullet too! Thanks for sharing these recipes, Biana! Great! Have a nice day! Well, I should have one for breakfast, then one for lunch and finally, one for dinner. LOL! Sound scrumptious!! Hope you're feeling great sweetheart! These all sound SO yummy! Especially that first one. I'm obsessed with adding in almond butter or peanut butter. It's like drinking a PB&J haha! That first one sounds right up my alley! I'm a sucker for strawberries and cherries! How do you like your Nutribullet? I've been debating on getting one and getting rid of my blender but I wanted to make sure it gave things a good consistency. Such delicious recipes! That last avocado one sounds right up my alley. Baby watch!!! Looks so good! I haven't made a smoothie in forever but when I do, I like using frozen berries! These all sound so good! I chugged smoothies nonstop when I was on maternity leave with Olivia. I was alwaaaays hungry from nursing so that was a healthy way to get my calories! love! i used to make smoothies all the time. i love doing strawberry, banana and some cream of coconut (pineapple juice as base) and it's like a strawberry pina colada :) so yum! Yum! I love smoothies. Thanks for the recipes! 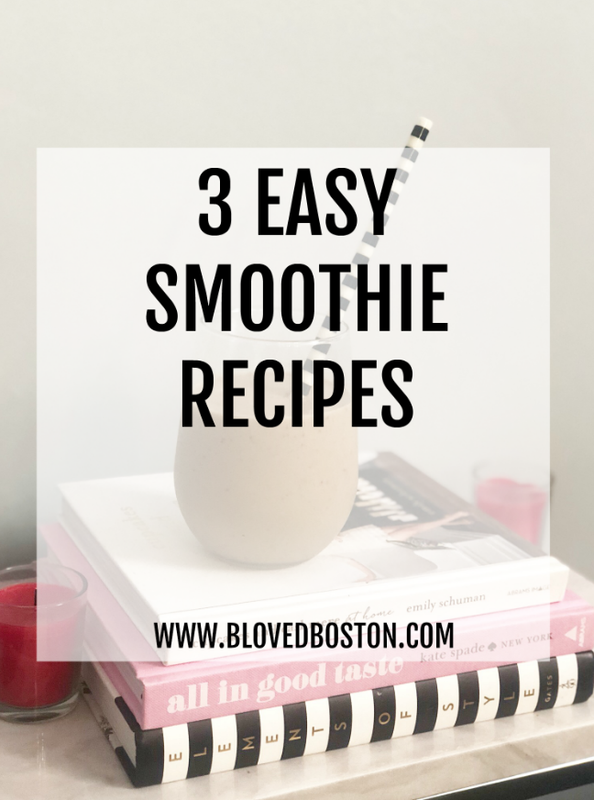 You read my mind- I've been wanting to get into the smoothie craze and am looking for easy recipes! thank you! I need to put my Nutribullet to good use again. i've been slacking. Frozen cherries! I've never used those! The third one is my favorite! Gonna make one right now! All of your recipes sound so good! I go on and off smoothie kicks. Right now, I am off. One of my favorite things to do is toss peanut butter in one though! Delicious! I love mango in smoothies with some lemon juice - so refreshing! Mmmm the first one sounds really delicious! We used to do smoothies everyday and need to get back into them! They all sound super delish though Id take out the banana hehe. Not a banana fan. Those all sound amazing! My boys would be in heaven with any of those combinations! Thanks so much for sharing! Yummm! We love making green smoothies in the mornings. These combos look delicious! I love smoothies so much! These all sound so good, but my favorite would probably be the first one. Peanut butter sounds like it would be great in a smoothie. Ive been making a lot of smoothies lately too! These all sound delicious! 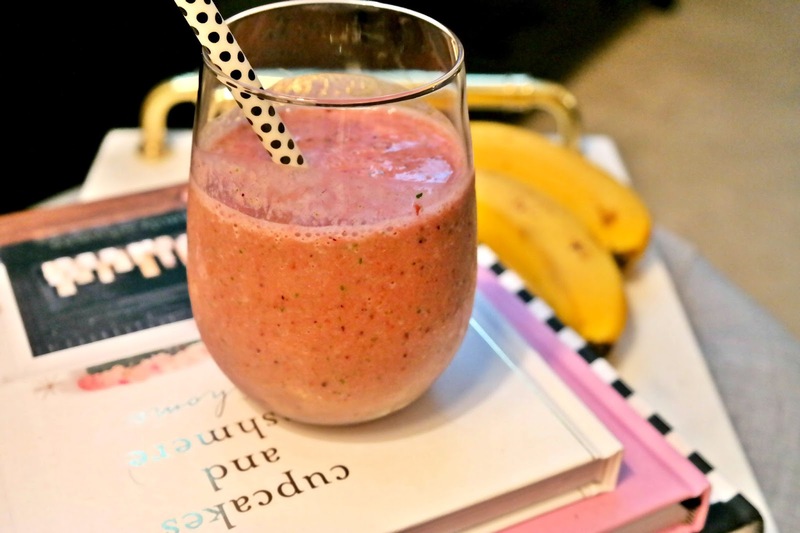 I've been trying to have more smoothies lately for breakfast, so I will have to check out some of these recipes! I am sitting here drooling - they all sound so good and refreshing! Thanks for the new inspo! I'm a big fan of the scoop of peanut butter! Do you use regular creamy peanut butter or the powder? So Mike started using my collagen in his smoothies and he loves it... he's like "My hair! My skin!" I've created a monster! I have been cooking into making some smoothies - im allergic to bananas so I'll have to find something else that makes a good base but other than that your smoohies look great! YUm, yum, yum!! These all sound so delicious! Chris and I were going to try and make smoothies for a while, and then we just never really got into them. I'm thinking that we need to try again though! These all sound really good, and way healthier than the breakfast that I normally eat! YUM! These all sound fabulous and I'm in need of a new recipe! All 3 of these sound great but the first is my favorite!